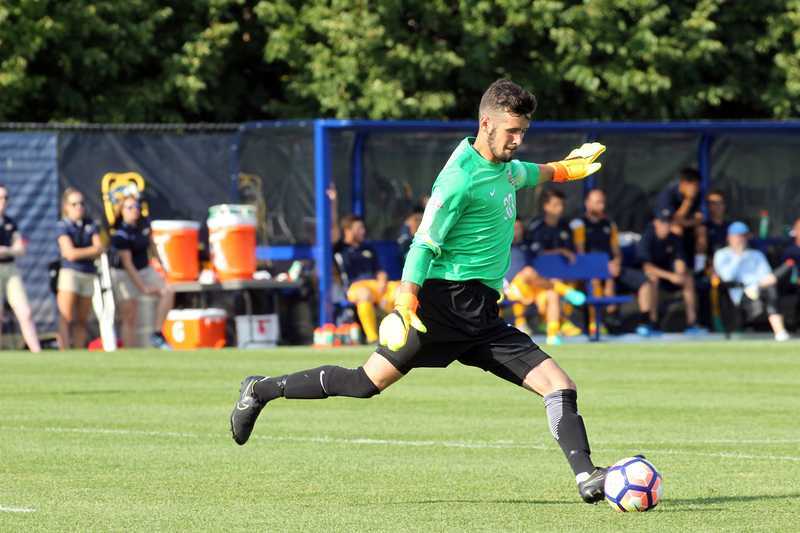 Noah returns to Marquette as a redshirt freshman and backup goalkeeper to Junior Luis Barraza. Read his previous journals here. How did you spend the summer getting prepared for the season? This summer I played for the Madison 56ers in the Premier League of America, where I actually ended up on the team of the season. After class Monday-Thursday, I would head to the gym and get a lift before I would go into Madison for training. Getting fitter and stronger were a must for this season. It was a pretty good routine because it was kind of like I had never left school and I wouldn't be surprised by the work load of the regular season. Entering your second year with Marquette, what’s the goal for yourself to be able to look back and say this was a successful season? I think that a huge thing for me this year is really helping my team and teammates out in whatever way possible. Growing everyday is necessary in the NCAA, more specifically the Big East. The more players that you can have growing at a quicker pace, the better off you are going to be. Pick someone up when you see the struggling, hold people accountable, demand better, and being the best you possibly can. These are just some of the places I've been focusing on helping my team be better. You step into graduated senior Mac Wheeler’s shoes as the number two goalkeeper. What stands out about Wheeler’s game that you’ll try to incorporate into yours? Mac never had to face that many shots. That's because he could had such a good sense of how to solve problems before they got 18 yards away from him. That man was a field general. When he told someone to move, they went because everyone knew that Mac knew what he was doing. This is something that I need to incorporate into my game, and it's all about flow of the game and predicting what's going to happen or what could happen next.